Open the App Store on your Mac computer. Click the Get button underneath the app. 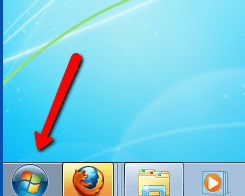 The get button will turn into Install App, click this button. Type in your Apple ID and password, then sign in. Then do it one more time and click Buy. 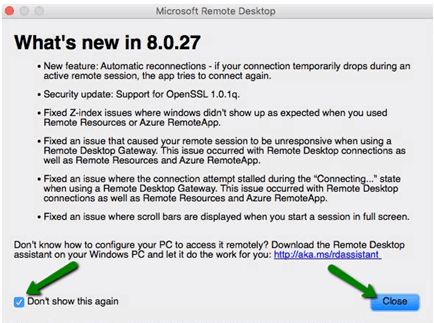 The Microsoft Remote Desktop app will now install on their Mac computer. Once it is installed, click the Open button. Click on the app again then checkmark the Don’t show this again box and click Close. 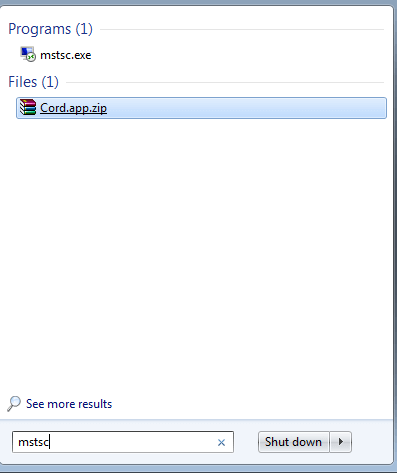 Click the New button in the Microsoft Remote Desktop app. For the credentials, type in demo for the user name and then demo for the password. Hit the red close button. 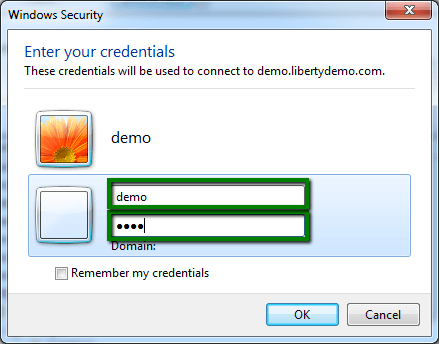 Double click on Liberty Demo. When prompted to verify certificate, click on the Continue button. You may now log into the Liberty Demo server.